SAN FRANCISCO  Zoo officials are asking for the public's help after a monkey was stolen from an exhibit. CBS Station KPIX reports that on Friday morning zoo staff discovered a 17-year-old male squirrel monkey, named "Banana Sam," was missing from an exhibit that had been breached by vandals, according to a statement released by the zoo. Banana-Sam weighs approximately 2 pounds and is more than a foot tall, zoo officials said. Investigators believe someone stole the animal, San Francisco police Sgt. Michael Andraychak said. "It was apparent someone broke into the zoo and deliberately took the animal, we believe somebody has him," Andraychak said. A reward, initially offered at $1,000 for Banana Sam's safe return, has been increased to $5,000 thanks to a pledge from a private donor, zoo spokesman Danny Latham said late Friday. The zoo said the thieves cut a back perimeter gate and made it to the top of a roof that houses five other primate exhibits. The vandals cut two holes into the mesh of the squirrel monkey exhibit and snatched Banana Sam. 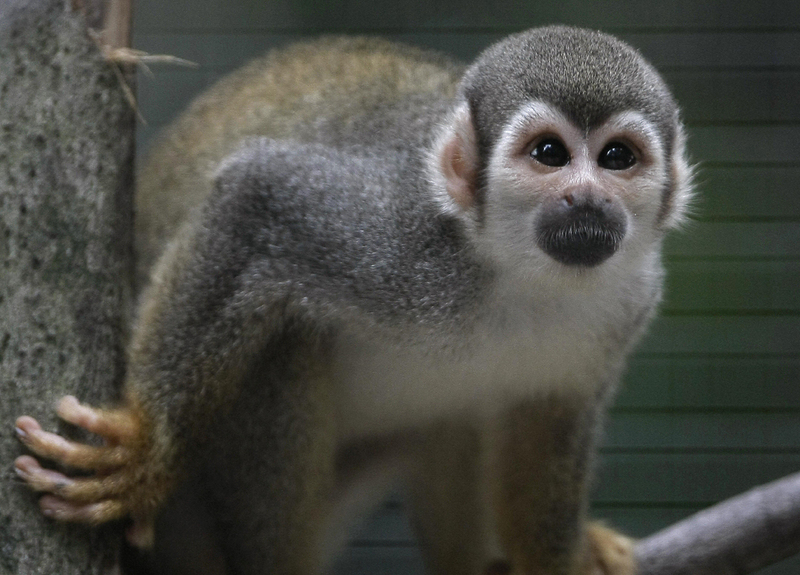 The zoo, which keeps about 20 squirrel monkeys, said it is concerned on many fronts. First, Banana Sam requires a special diet to survive and is older. Also, while squirrel monkeys are not large animals, they have sharp teeth and will bite if provoked. "This was a criminal act of vandalism and trespassing and we are working with the police to identify the perpetrators," said Tanya Peterson, president and executive director of the San Francisco Zoological Society. Common squirrel monkeys like Banana Sam are not endangered, and are often seen in pet markets and medical research. While some states allow keeping monkeys as pets, in California it is illegal. News of the stolen monkey spread quickly on the Internet Friday, and someone set up a fake Twitter account tracking the alleged whereabouts of Banana Sam. The zoo said it was not involved with the account, and would not comment on it.